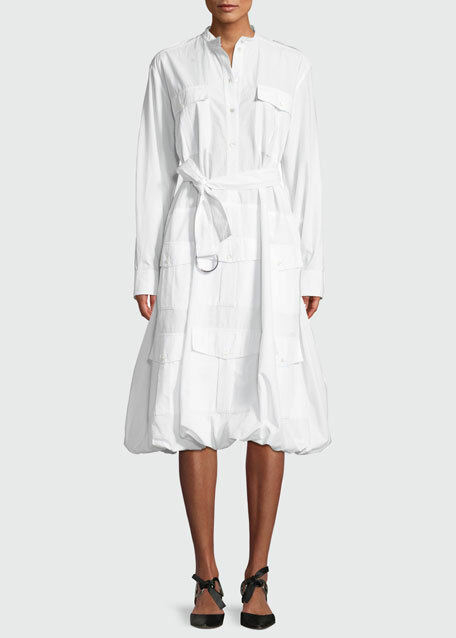 JW Anderson cotton shirt dress in tonal striping. 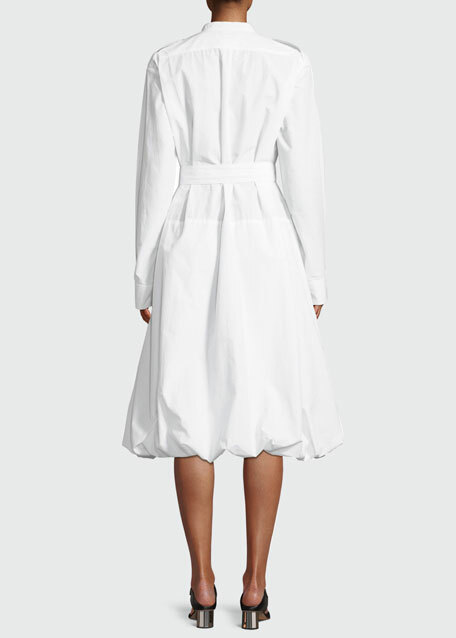 Multiple button-flap pockets throughout front. Mandarin collar; button placket at front. For in-store inquiries, use sku #2625697.